OCEANFRONT, TURNKEY & AFFORDABLE! 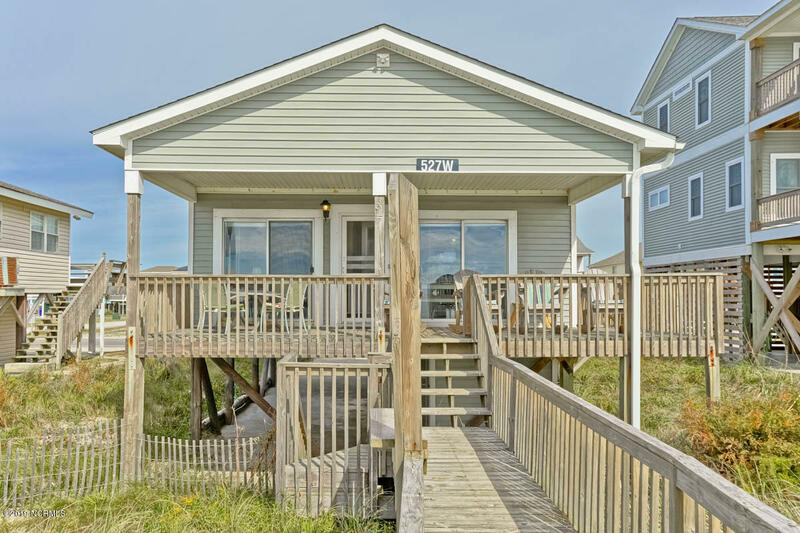 Aptly named ''Coast Awhile'' this bright, clean, classic cottage with open floor plan & covered porch, allows you to completely take in the views from all living areas. Now is your chance to have your own private unobscured perch along the beautiful NC coast - life is short so make it happen. Nostalgic wood beams adorn the ceiling of this 3BR, 2FBath cottage completely renovated within the past five years with every furnishing & appliance you see conveying with sale. Ready to go and set to gross $50,000+ in rental income for 2019. The roof was entirely redone 5 yrs ago with an underlay of ice guard roofing membrane. Completely insulated throughout, outfitted with hurricane windows, new vinyl siding with Tyvex underneath, both HVAC & W&D 2 yrs old & more.